Fully symmetrical AWD, 2.5L H4 engine, automatic. Power everything, moonroof, alloys, and much more. 103k miles, really nice and spacious car which handles very well in the snow. Sale price $5995 AS-IS. Call, click, or stop by Today! 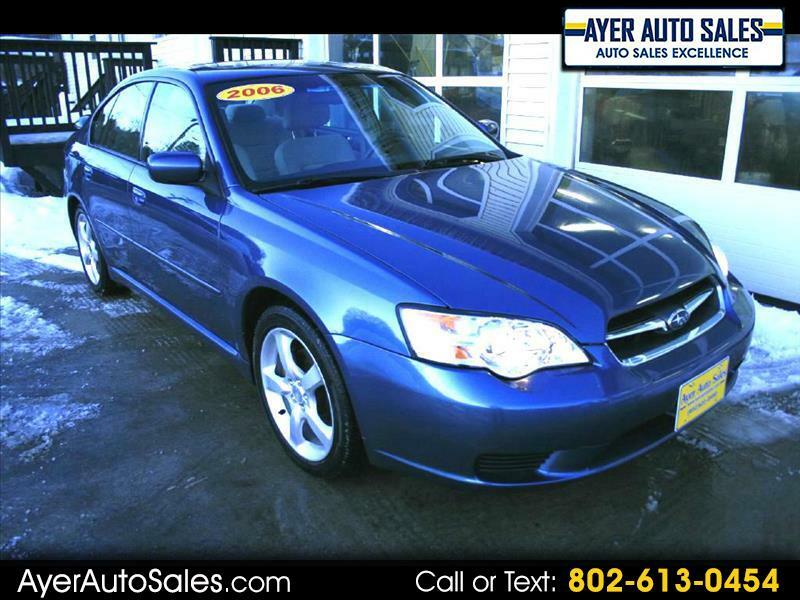 Message: Thought you might be interested in this 2006 Subaru Legacy.